When a seven-year-old suddenly demonstrates her ability with differential calculus, you might wonder where she got it from. According to the film Gifted, in little Mary’s brain the postgraduate mathematical techniques, including perfect knowledge of Greek symbols, just popped up magically. This small child corrects the finest work of the Professor of Maths with equations covering three closely chalked blackboards. He looks suitably humiliated. But she thinks nothing of it. What’s more, from her media-free, mosquito-ridden one-room home in Florida, she is able to discourse on the current position of the euro and esoteric history, and is morally superior. Being gifted, whether in terms of high-level potential or precocity, is an aspect of child development. Yet it is particularly susceptible to the stereotyping assumed in this film. 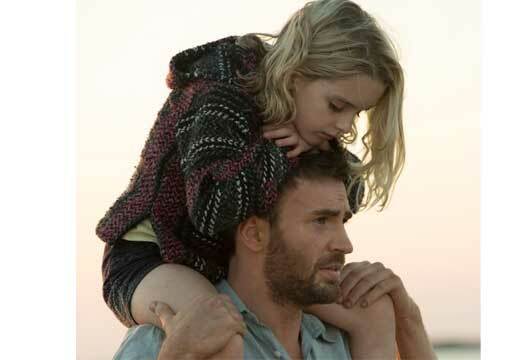 Gifted Mary, played by McKenna Grace, is delightful. Frank, her uncle and carer, played by Chris Evans, wants her to be normal, that is to avoid the common expectation of the gifted child as unhappy and friendless, for which there is no scientific evidence. Indeed, my 35-year study using double control groups, published in Educational and Child Psychology in 2013, found that although the gifted did face special challenges, the reasons for any emotional distress were usually more commonplace. The dramatic tension in Gifted is between Mary’s development as weird if she is permitted to flex her implausible abilities, versus a happy little soul if she denies them. Mary, although decidedly mature (actually 11 in real life), has no say in whether to repress her gifts every day in her normal school or tackle a higher level of education in a school for the gifted. Her uptight English grandmother, Evelyn, played by Lindsay Duncan, wants Mary to fulfil her natural potential but down-to-earth Frank fears for Mary’s happiness. The judge is faced with the decision of Solomon, whether to encourage or restrict Mary’s intellectual growth. She faces fostering. Frank muscles in and rescues the sobbing child. Beach and sunset. The folksy music swells. The ending is compromise and she gets to join the girl scouts. To have even a little credibility any story needs some ring of truth, which unfortunately is not present in this film. - Reviewed by Joan Freeman, who has a private practice for gifted children and is Visiting professor at Middlesex University.